This assumes you have already downloaded and installed Log4j on your system that Eclipse is running on. In Eclipse, select Window > Preferences. 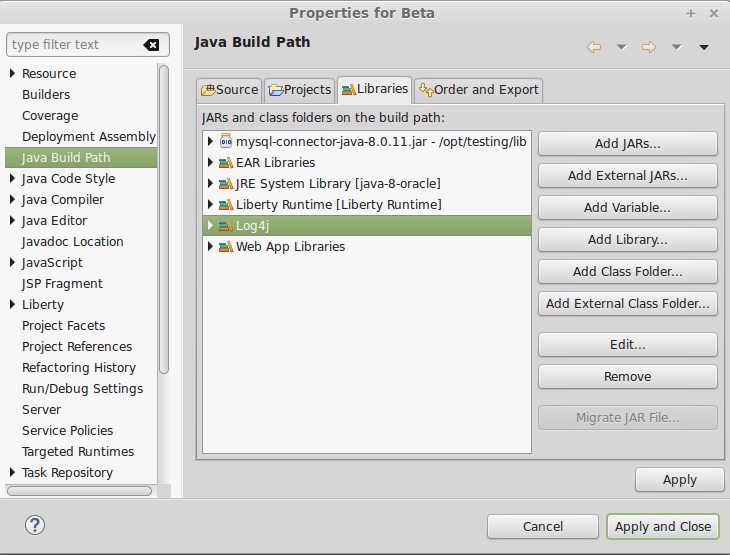 In the left panel of the Preferences window, expand Java > Build Path and select User Libraries. Name the library Log4j and select OK. Select Add External JARs, select log4j-api-<version>.jar and select OK. Select Add External JARs, select log4j-core-<version>.jar and select OK. The Log4j library with the two JARs should now be displayed. Add the Log4j library to your project. 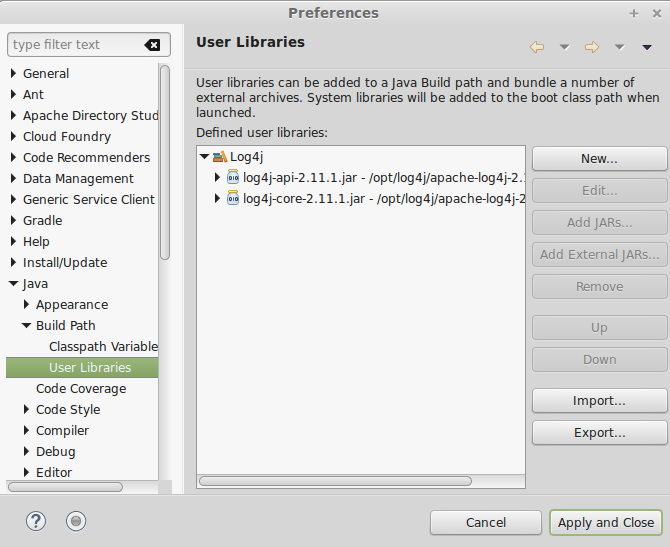 In the left panel of Eclipse, highlight the project that you want to use Log4j. 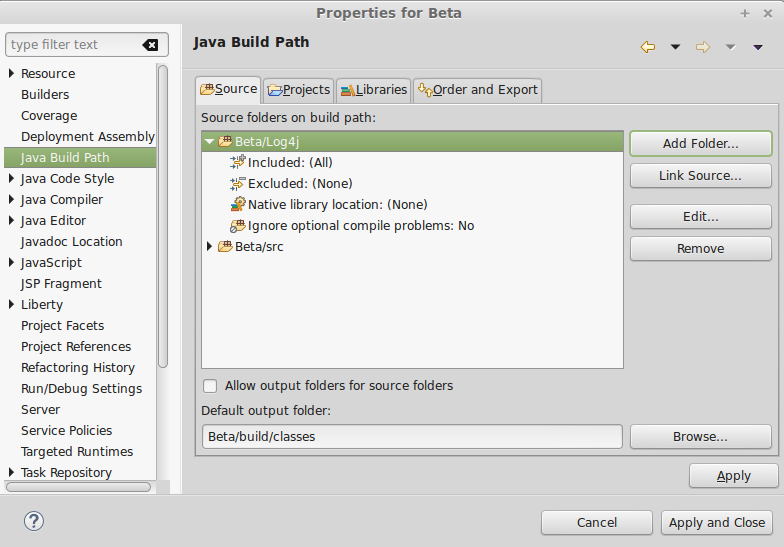 In the left panel of the dialog box, highlight Java Build Path. Highlight User Library and select Next. Check Log4j and select Finish. The Log4j library should now be displayed. Create a configuration file for Log4j. Right-click on your project and select New > Folder. Name the new folder Log4j. Right-click on the Log4j folder and select New > File. Name the new file Log4j.xml and select Finish. Add the following markup to the Log4j.xml file (replace Beta with the name of your project). Configure the Log4j folder so that it can be used as a source. In the left panel of Eclipse, highlight your project. Select Add Folder, check your Log4j folder, and select OK.
To log events to Log4j, in one of your Java classes, import the following packages.